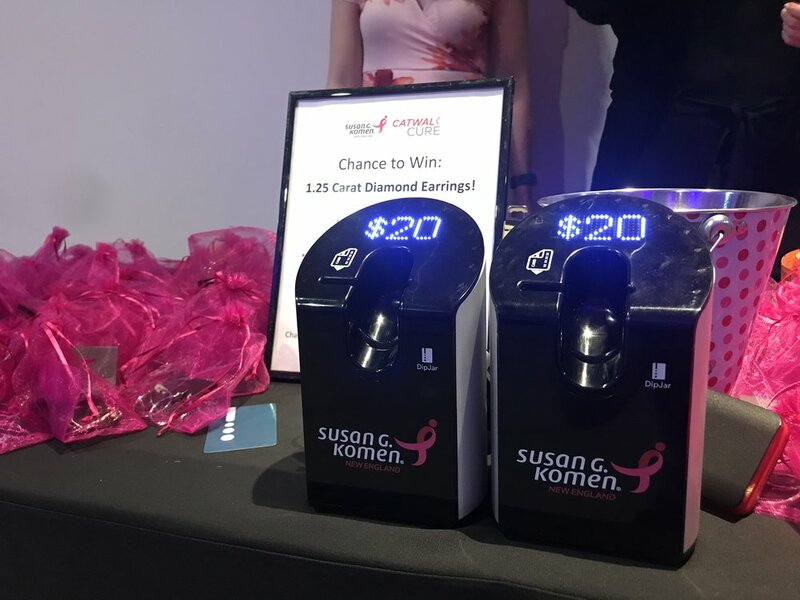 Susan G. Komen New England held their second annual Catwalk for the Cure fundraiser featuring breast cancer survivors wearing pieces created by local designers. Susan G. Komen had a creative strategy to gamify donation collection. Donors dipped $20 dollars to receive costume earrings and be entered into a raffle to win a pair of real diamonds! Donors were more motivated to give because they immediately received a prize and had the chance to win another. Susan G. Komen raised $1,780 in DipJar donations.